What is the Shopping API? For more features of the Shopping API, see eBay Shopping API Benefits. The eBay Shopping API makes it so easy to make a call that you can start retrieving data from eBay in 2 steps! Click the button to search for popular items on eBay related to iPods. If you've never used eBay APIs, the following sections will help you understand and use the APIs. How Do APIs Work with eBay? eBay APIs let you programmatically do the same things you would do on the eBay web site. With a little programming skill and some creativity you can do these things even faster and better than the eBay site can. A user enters "ipod" in your cool application. Your app uses makes a search request for "ipod" using one of the eBay APIs. The eBay database looks for "ipod". The eBay database sends the response back to you using the API. Your app displays the search results to the user. A user goes to the eBay site and enters "ipod" in the eBay search box. The eBay site queries the same database. eBay displays the search results to the user. How Does the Shopping API Work? eBay Shopping API is one of the ways that developers can programmatically interact with the eBay website. eBay Shopping API lets you ask eBay for information using just a URL, then get back data in XML, JSON, SOAP, or eBay's simple Name Value format. This Getting Started Guide focuses on the simplest way to use the Shopping API: using a URL as input, and getting XML back. However, you can also use SOAP and JSON. For information on other input and output formats you can use with the Shopping API, see Making an API Call. Why Would I Use the Shopping API Instead of Just Searching on eBay? The Shopping API lets you take the search off of eBay and put it on your own site, or in your own application. You may be able to make the buying experience even better than eBay does, and when users buy something or become eBay members after going through your app, you make money! Keep reading to learn how! How Can I Make Money with the eBay Shopping API? 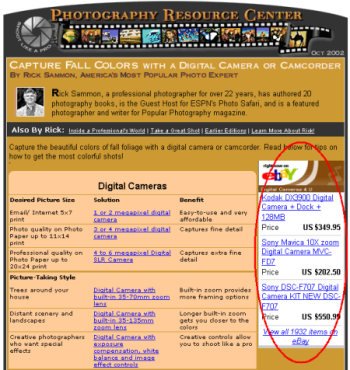 If you're a seller, highlight your eBay auctions on other sites, and sell more items. Make eBay Affiliate commissions by driving new users or bids to eBay. For more information about the Affiliate Program, see eBay Partner Network. eBay sellers can now make commissions on their own items. So you can highlight your own auctions on your site, get money from the sale of that item, and get a commission too! Write a creative application and you can charge users to download your application. You write the app once and get paid for it many times. Use your API-driven "line into eBay" to offer eBay buyers and sellers assistance in doing things like market research and custom searches. Why limit yourself to just one revenue stream? Write an app and offer a service add-on. Or throw affiliate revenue into the mix. As long as you comply with Developer Program regulations, you are limited only by your imagination! Why Does eBay Give Money to Affiliates? If you introduce a new person to eBay, or help them find an item they need, everyone wins! eBay gets a new user or another sale, the user gets a great item, and you get a nice commission. For more information on the Affiliate Program, including commission payouts, see eBay Partner Network. How Does eBay Know to Give Affiliate Commissions to Me? Sign up with the eBay Partner Network. When new users go to eBay from your site, you get credit when they become new users or buy items. For instructions on how to get an Affiliate ID, see How Do I Get an Affiliate ID? What Do I Do with the Code I Get Back from eBay? There are a lot of things you can do with the code you get back from eBay. For an example see, the Shopping API Tutorials. Why would I use the New Shopping API instead of the Trading API? Sometimes you just don't need that much information! We call eBay's Trading API the "Trading" API because you can list items, get item information, and just generally manage your eBay sales and purchases. But if all you want to do is help people buy things, then the eBay Shopping API may be best for you. Optimized for buyer shopping and browsing. It opens our platform to enable users to integrate data from the eBay marketplace into their own sites. As you're just browsing and searching, it doesn't require end-user authentication (no token required). The Shopping calls are optimized to give very fast response times. Designed to provide robust support for transactional activities. It enables users to contribute content (items, feedback, etc.) to the eBay marketplace, and to handle transactions that occur on eBay. As transactional data is specific to each eBay user, the Trading service requires end-user authentication (token required). Can I Use the Shopping API and the Trading API Together? Yes! You can mix and match calls from each API, as long as you point each call at the right gateway URL for that API. For more details on the features of each API, see the Documentation Center. What if I Start Using the Shopping API, but Want to Add Features from the Trading API? Some people may build an app on top of the Shopping API and decide later that they want to add functionality (for example, managing their messages) that's only available in the Trading API. That is not a problem. For more details on the features of each API, see the Documentation Center. What Goes into a eBay Shopping API Request? For details on the other input styles, including HTTP Post requests, see Making an API Call. How Do I Get my AppID? Join the eBay Developers Program. Go to http://developer.ebay.com/ and click the Join button. How Do I Get an Affiliate ID? Follow the instructions for joining the eBay Partner Network. How Do I Test My Application? The Shopping API is optimized to retrieve information from the live eBay site and you can test your application with calls to the live eBay site.